L'onganoid is a herbal joint and muscle rub made of longan seeds. Longan is a tropical fruit widely grown in Thailand. The formula of this cream was developed by scientists from the Faculty of Medicine of Chiang Mai University in Thailand. L'onganoid Cream contains vitamin E and over 12 soothing Thai herbs. 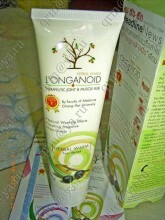 The main ingrdient of this cream is longan seed extract which is known as super antioxidant. L'onganoid Cream is GMP and ISO certified. L'onganoid Cream is a natural innovation. It doesn't contain steriods or other harmful ingredients. L'onganoid Cream prevents and relieves muscle disintegration condition due to lack of collagen, elastin and degradation of cartilage cells that is one of the causes of rheumatic disease and myositis. It has been proved by scientists from Chiangmai University that longan extract can repair cartilage with hyarulonic acid and glycosaminoglycan. L'onganoid Cream is able to inhibit protease enzyme and prevent disintegration of cartilage and muscles when they are overloaded with hard work thus improving their performance. Do not use L'onganoid Cream for children under 3 years old. 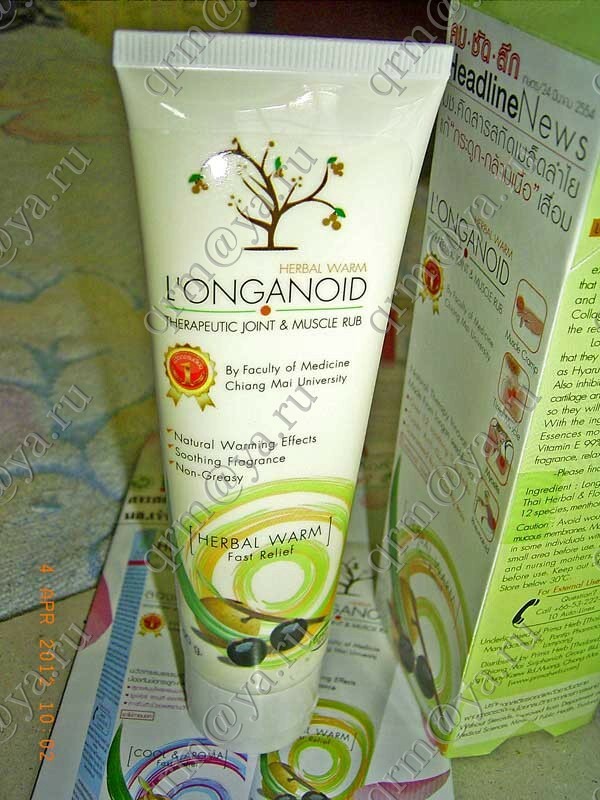 DIRECTION: just apply L'onganoid Cream on affected area, rub the cream and you will be amazed how quickly it relieves pain, soreness and stiffness, you will enjoy a pain free life every day. No wonder that L'onganoid Cream is a best selling cream in Thailand! Мне очень понравился этот чудесный крем, он ослаблет боли при позвоночной грыже. Только им и спасаюсь. Click the button below to add the L'onganoid Therapeutic Joint & Muscle Rub to your wish list.